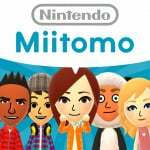 With its major update this week that introduced a new way to use Candy to earn game tickets, Miitomo is getting a bit of a push by Nintendo in order to try and lure back some users. The latest set of outfits to be won or bought in the app are snappy Super Mario t-shirts, and some of them are up for grabs on My Nintendo. In Europe, where we've been checking, there are two Miitomo t-shirts available for free - one is a neat general design and the other is a Bowser design that won a poll on Twitter; in North America it'll be a Boo design that is free courtesy of the recent polls. Three other designs can be picked up for 200 Platinum Points. Are you giving Miitomo a try in its updated form and planning to grab any of these virtual t-shirts? Let us know. What? Who voted for the pink Boo shirt over here? I was really hoping for Bowser. @MemoDuh I still play Miitomo on the occasion in 2016 because I am saving up the Platinum Points that you get from the app. I have acquired 2,025 Platinum Points as of today after all. You get both for free. Plus those Super Mario drops are easy to win. Anyway, I bought them all. Also won at least one color variant of each of the shirts. @Alundra-1998 @MemoDuh Truthfully, I've pretty much gave-up on the app. My kids don't play it anymore, I basically talk to myself in the app. The introduction of the miidrop game for tickets is a good idea. @Whopper744 Oh come on now, who doesn't like a little Boo-tee every now and then? Someone must be thinking about clothing sales tie-in to this app, right? Somewhere? I noticed a certain kind of hat can look good on my miitomo face and then wondered if I could pull it off in real life. Hard to find one big enough for my melon but I can't be the only one thinking that way sometimes can I? Anyway, I don't fire this up as much anymore because my friends don't participate as much, but I will right now. Lametomo and MyLameNintendo Rewards Club strike once more with everso thought out updates and rewards. Making fans happy since March 2016!!!!! Or.... Bored. I've grabbed the free ones. I'm waiting until after the first when the August rewards go live. 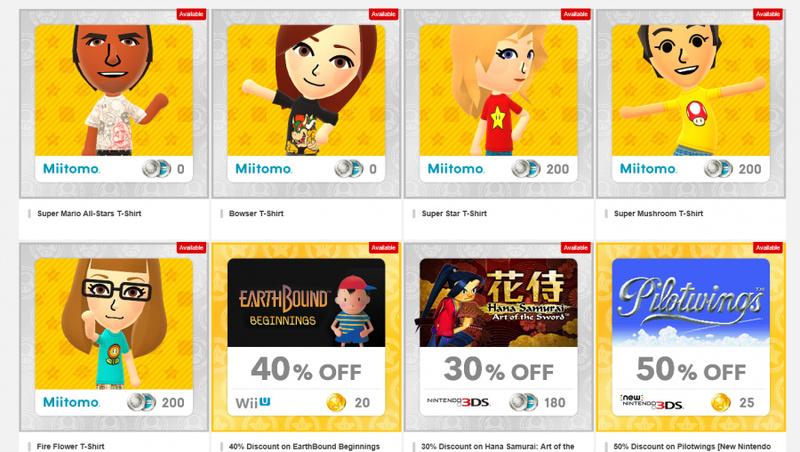 I would rather use my platinum points towards games then Miitomo shirts. @MemoDuh it may have only been popular for about two weeks but considering Miitomo was RELEASED in 2016 the answer is, well... a lot of people. If you asked who plays it now that would be a different story. I'm living in hope that rewards will become more meaningful, so I'm still playing and have over 4000 platinum points, despite having claimed a few things. Might as well get all the t-shirts, though might wait till next week when the new rewards are up. A little extra: I wanted to show @ThomasBW84 a particular part of my Mario keychain collection, as a bit of a treat for his passion for Bowser (yep, that keychain is based off Bowser's official render in New Super Mario Bros. 1 promotional material). That's right, folks - it's part of my bedroom you're seeing! I apologise in advance if the place looks a bit dusty, though. You can change the country of your Nintendo Account to get access to its rewards catalog and get its winning shirt for free. I've stopped using My Nintendo a few weeks ago, there's really no point if all they're giving us is digital clothes and discounts on mediocre games. They really need to step things up with My Nintendo rewards, it's been a waste of time. I haven't logged on to My Nintendo in well over a month. @MemoDuh Even if I wanted to play Miitomo, I can't, as it never released in Scandinavia.